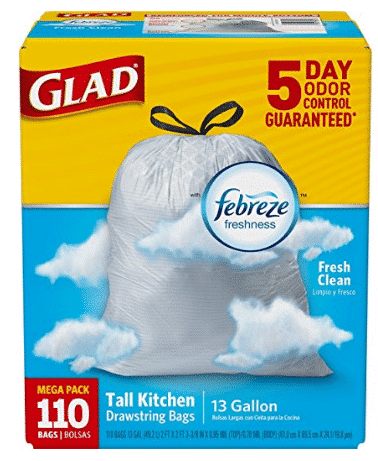 Right now on Amazon, snag a great deal on these Glad Odorshield with Febreze Mega Pack 110ct Trash Bags. I love finding good household deals that ship right to my door – check out all the other Easy Amazon Shopping deals I like! It looks like this deal is for Amazon Prime members only Heather – adding that in now! You won’t see those unless you are a member of Amazon Prime.